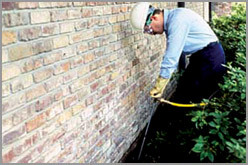 Termite Control can vary by regions, and companies. 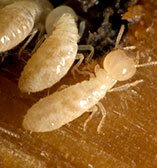 Here is a link to some great Termite FAQ’s by Dr. Potter from the University of Kentucky. 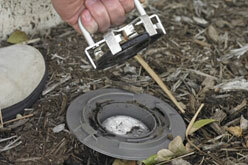 This is where we install termite bait cartridges about every 10-15′ around the structure. This can be used alone, or in conjuction with a “spot” liquid treatment. When termites begin feeding on termite bait they will share the termiticide with their colony, causing a domino effect, wiping out the whole colony.